It is officially my favorite time of the year. 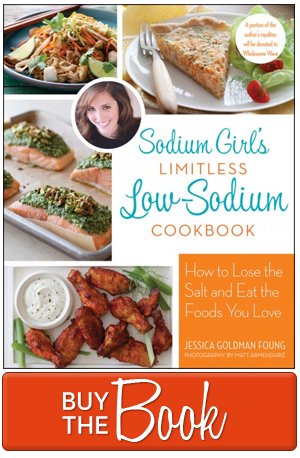 Today I turn in round two of edits for the new low-sodium guide book (YES!) and I plan to celebrate with some apple cider, a big bowl of soup, and definitely a fistful or two of candy. But before you go bobbing for candy, check out these tips on keeping “healthy” during Halloween. I’m not talking about skipping the candy necessarily, but knowing where sodium may sneak into your sweets. And of course, some ideas of how to get that sugar rush without all the junk. 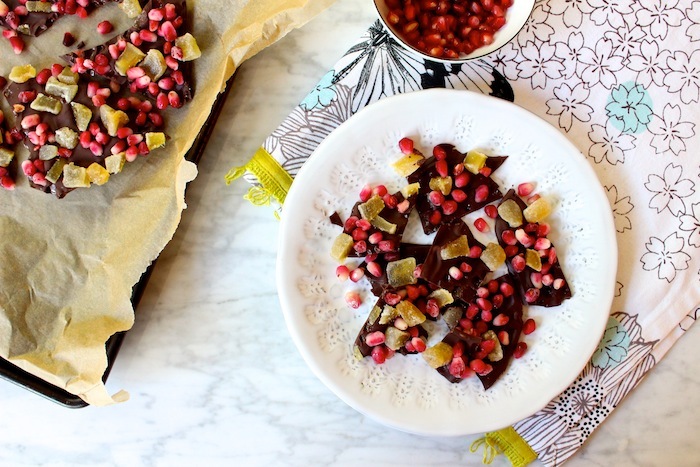 Including this Chocolate Ginger Pomegranate Bark! Which you can make in seconds. And eat guilt-free just as fast. So if you treat, don’t get spooked by secret sodium. And follow these tricks on the National Kidney Foundation blog to keep on track. While enjoying your (slash, my) favorite day of the year. And this super nifty video, too. Line a small baking sheet or pan with parchment paper. Place the chocolate chips in a microwave-safe bowl and then heat for 30 seconds. Take the chocolate chips out of the microwave and stir. Then place them back in the microwave and heat for another 30 seconds, repeating a few times until chocolate is melted. Pour the chocolate onto the center of the parchment paper and then use a rubber or silicon spatula to spread the chocolate out into a big rectangle or square, keeping it at least 1 inch from the edges. Sprinkle the top with ginger and pomegranate seeds, and lightly pressing them into the chocolate. 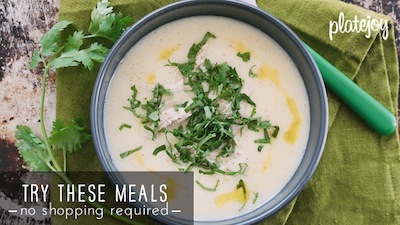 Then place in the freezer to harden for at least 10 minutes before serving. Then break into chunks and eat. Or keep in an air-tight container in the freezer for a month. Party Tip: Because this is so easy to make, you can also offer guests choices of toppings and let them make their own mini barks for some fun, hands-on activity.